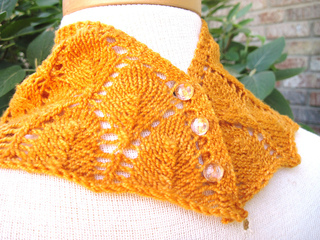 Ginger Leaves is a kerchief or shawlette that begins at the neck center and is worked to the edge. 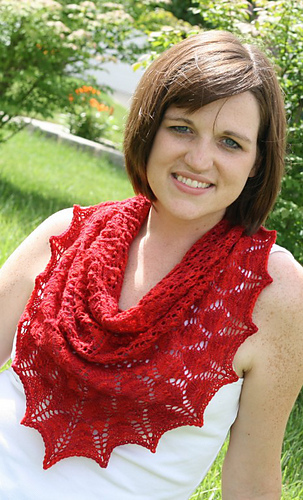 The flower lace pattern flows seamlessly into a leaf lace pattern. 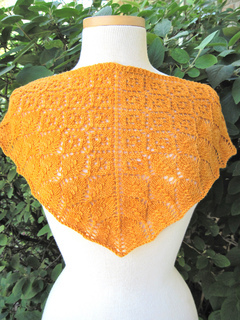 The leaf lace pattern flows into a simple edging pattern. 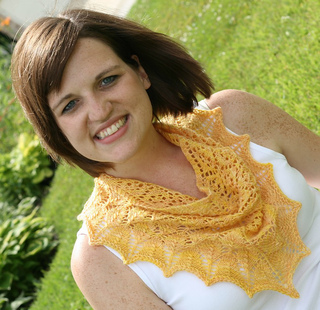 Three buttons are used to close the kerchief in the back; they are left off for the shawlette. Not recommended for beginning chart knitters.